We’re thrilled to announce our collaboration with Transcending Obscurity Records for the release of our first album, “Psychological Spasms Cacophony”. “Psychological Spasms Cacophony” was recorded at Control+Z studios (MEX), mixed at Mixtrak Studios (SWE), and mastering handled by Colin Marston (Gorguts, Dysrhythmia, Behold… The Arctopus) at Menegroth – The Thousand Caves Studios (USA). Stay tuned for more news about the album coming soon! – Chaos Motion – Psychotic Spasm (Single), CD, Limited Edition of 50 copies. 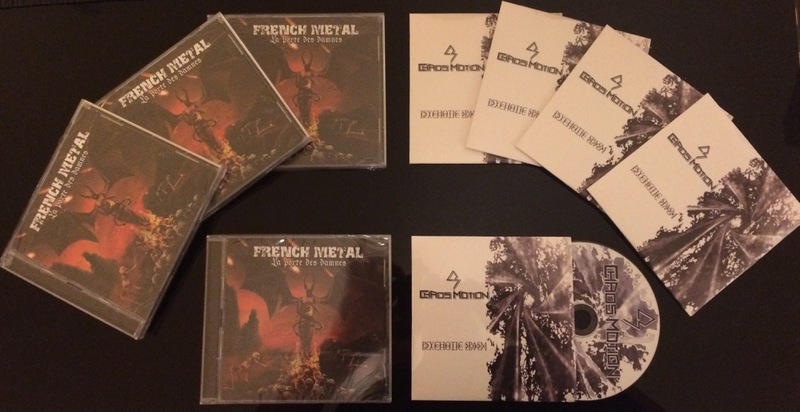 – French Metal compilation #22, Double CD with 40 bands including Chaos Motion with unrealized song “Unscrupulousness Resolution”.